Content by Tony Macklin. Originally published on December 28, 2017 @ tonymacklin.net. 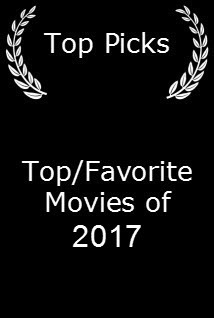 Here are my selections for favorite/best films for 2017. What brilliantly separates this movie are the cunning surprises. Like Hitchcock, director/writer Martin McDonagh is a master manipulator of his audience. He leads you to an expectation, and then denies it. And the unexpected surprise that replaces it is credible. That's the gift of the best filmmakers. The acting is formidable and memorable. Frances McDormand wonderfully captures the range of a woman who has suffered a loss in a horrible way. She feels pain and guilt, but her abiding commitment is to justice. She dedicates her being to fighting for it. Woody Harrelson and Sam Rockwell add heft and personality to the film. But McDonagh and McDormand own the film. 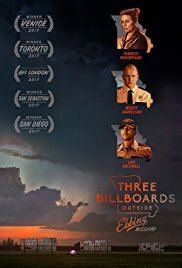 Intelligent imagination is the strength and spirit of Three Billboards outside Ebbing, Missouri. Wind River is a smart movie. Except for a lapse into an over-the-top sequence of a shoot-out, it is an intelligent, low-key study of human suffering and redemption. As is often the case in an artistic film, the landscape is a palpable character. The Indian reservation in Wyoming offers a bleak, chilly setting for the struggle for human contact. 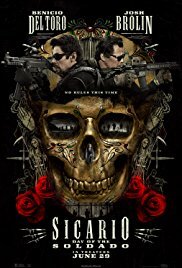 Directed and written by Taylor Sheridan, who wrote last year's Hell or High Water, it has the emphasis on dialogue and character that film expressed. 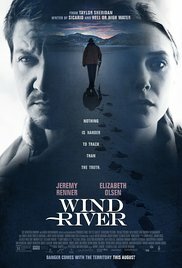 Jeremy Renner, Gil Birmingham, and Elizabeth Olsen effectively capture the wounded humanity of their characters. Margot Robbie renders a sensational, tours de force performance as skater Tonya Harding. Writer Steven Rogers and director Craig Gillespie create unexpected empathy for the flawed figure who survived various shames and disgrace. Allison Janney, as Tonya's harsh and self-serving mother, delivers some of the most vulgar lines of the year. She speaks them with inimitable effect. In I, Tonya, characterization prevails. This was the audience participation movie of the year. It grabs the viewer and throws him into calculated chaos. In a sense, Get Out is three films. It begins as a quasi-satire of a black man facing liberal values in a white upper class suburb. A man says of golf, "I love Tiger." Then it becomes a riff on the Stepford Wives - in this case the Stepford Blacks. And it ends with a WTF conclusion. After jerking the audience around, writer/director Jordan Peele concocts a feel-good ending that blows away the grief. The audience leaves the theater with a sigh of relief and a chuckle. 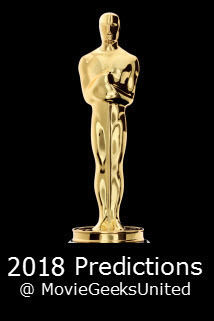 In 2017 this is about all they could hope for. 2017 was the year of Woody Harrelson, who appeared in several challenging roles. 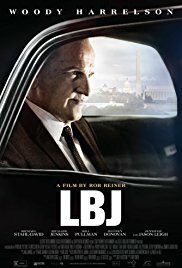 The most challenging was portraying Lyndon Baines Johnson. He did so with panache and credibility. The direction, by Rob Reiner, emphasized humanity. In 2017 irony faded away. It was disappearing. When the truth is abandoned, irony suffers. But it still lived in War for the Planet of the Apes. This was a film that combined irony and humanity. In the film, the apes were more human than the humans. Humanity isn't gone. It's just transferred to the apes, many of whom are honorable, caring, and decent. Director Matt Reeves created evocative power. 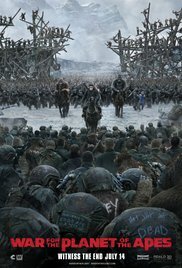 Andy Serkis, as the indomitable Caesar and Woody Harrelson as the cool, lethal Colonel were effective. Co-writer Mark Bomback and Reeves made deft allusions to films of the past, such as The Bridge on the River Kwai (1957). Things have changed in 60 years. But the apes seem to have resisted making America great again. This was one of the most underrated films of the year with one of the most underrated actors. Many people probably thought, here goes Tom Cruise again. Been there, done that. But Cruise often seeks challenges. He's worked with directors Stanley Kubrick, Steven Spielberg, Michael Mann, Marty Scorsese, et al. Cruise and director Doug Liman get together again after joining up for the clever Edge of Tomorrow (2014). 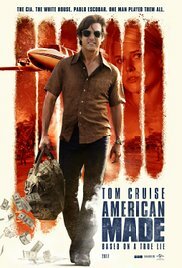 American Made is a film based on the life of Barry Seal, ace pilot who got involved with the Medellin cartel. Cruise makes a deft but vulnerable action figure. He brings a strong sense of authenticity to his characters. The ending is powerful, but properly oblique. Cruise's image stays intact, but once again expanded. 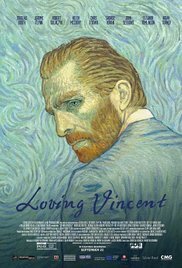 Loving Vincent is a hand-painted, animated homage to the iconic artist. Written and directed by Dorota Kobiela (her husband co-wrote), the film captures the essence of sometimes quaint, often spiritual images. It brings sound, ambience, and life to the paintings. It is obviously a labor of love. This film may have been more for reviewers than a mass audience. With an ideal role for him, it pays easy deference to 91-year old movie actor Harry Dean Stanton. [Stanton died September 5, 2017, shortly after making the movie.] Lucky was directed by John Carroll Lynch from a screenplay by Stanton's friends Logan Sparks and Drago Sumonja. It even had Stanton sing in Spanish; he crooned "Volver, Volver." The man could sing. Who knew? Those who care about the broad context of film may have special feelings for this film. It has a quiet charm, if you think an enduring tortoise can be charming. This fits 2017. Animation brought us alienation. A village brings down a country. The moral of this film is "Love your enemies." There sure are a bunch of them. The LEGO Batman Movie is a whirlwind romp. It's frenetic, chaotic animation. Batman, with compelling breathy voice of William Arnett, is a repressed superhero, replete with anxiety. The thing that makes The LEGO Batman Movie most contemporary is that an Executive Producer of the film is Steve Mnuchin, who in 2017 became Secretary of the Treasury. The rumor is that Mnuchin's next project is The LEGO Trump Movie, with himself as the Joker and Alec Baldwin as Two-Face.